This is a great quick high protein recovery meal after a morning workout. Quick and simple, it provides a ton of protein. The “Power” comes from adding a scoop of protein powder. 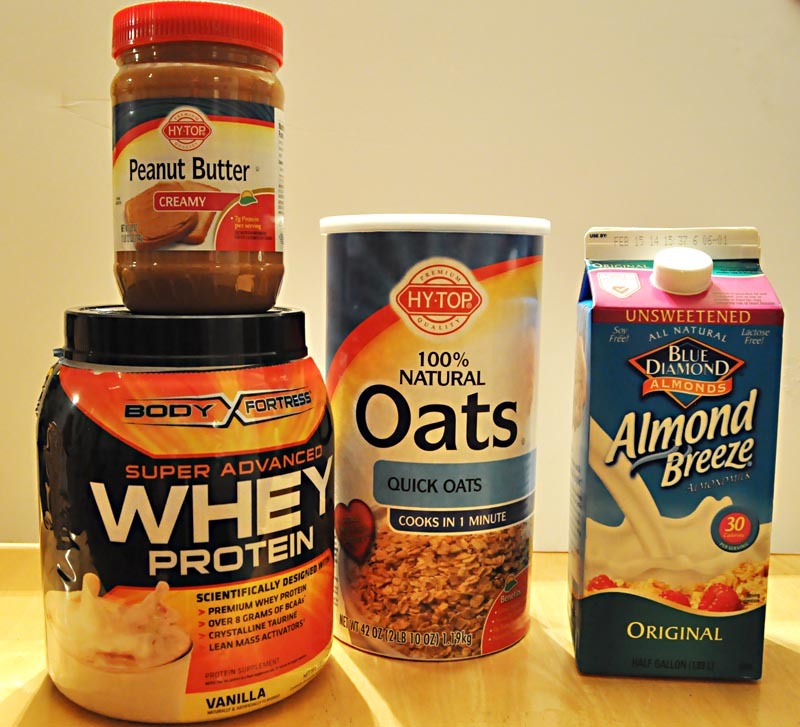 3 main ingredients make up this quick high protein breakfast meal: protein powder, quick oatmeal, and peanut butter. Use chocolate flavored protein mix instead of vanilla. 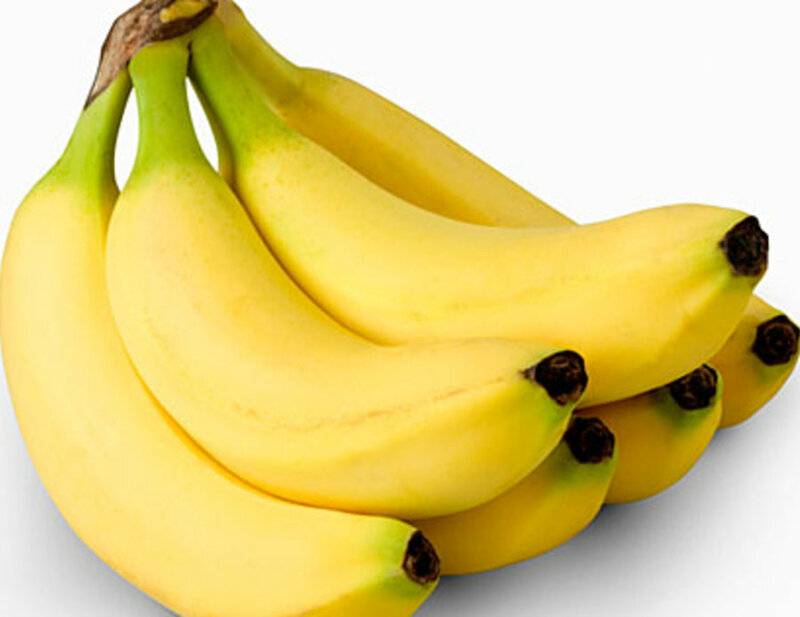 Crush or chop up a banana and add it to the mix. This fruity addition will add a valuable 400+ mg of potassium to your meal. 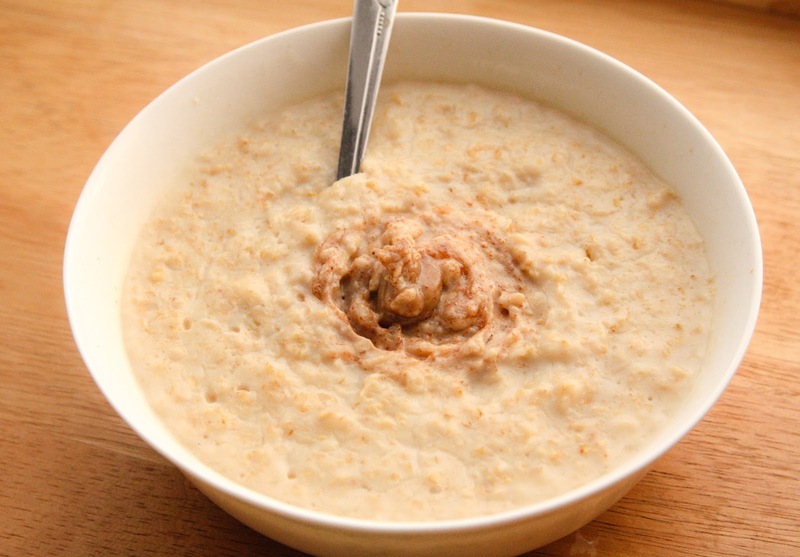 Add a banana to the peanut butter power porridge to sweeten up the taste and add extra heart healthy potassium for workout recovery. Don’t want so many carbs? Cut the banana in half. 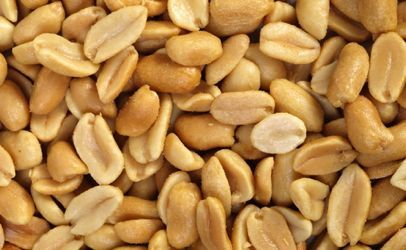 Add 1/4 cup of unsalted dry roasted peanuts to the mix. Add a banana to the peanut butter power porridge to give it an extra crunch.